Rice (Oryza sativa L.) is one of the world’s most important staple foods, as it sustains more than half the global population. Rice farming has provided an important material and cultural basis for the development and prosperity of Chinese civilization. 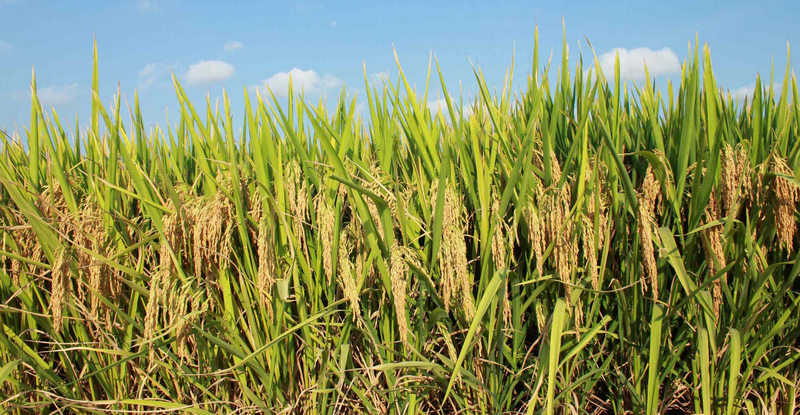 Research into when, where and against what environmental background rice was domesticated has led to considerable discussion over the past decade. The study of phytolith carbon-14 and morphological characteristics, by Prof. LU Houyuan’s laboratory at the Institute of Geology and Geophysics of the Chinese Academy of Sciences, suggests that rice domestication may have begun at Shangshan in the lower reaches of the Yangtze River in China during the beginning of the Holocene. This research was published in the Proceedings of the National Academy of Sciences, USA. Two phytoliths dating from the early (upper layer of the eighth cultural stratum) and late stages (upper layer of the fifth cultural stratum) of the site range from 9,417-9,134 calibrated years before the present (“cal yr BP”) to 8,175-8,012 cal yr BP. This suggests that the initial occupation of Shangshan may have occurred around 9,400 cal yr BP, or perhaps somewhat earlier, i.e., around 10,000 cal yr BP, since the phytolith sample SH-8 is derived from between the seventh and eighth cultural strata of the site. Detailed studies of the rice’s bulliform phytolith morphological characteristics show that approximately 36 percent had more than nine fish scales in the early occupation stages of Shangshan and Hehuashan (ca. 10,000 to 9000 cal yr BP), less than the approximately 60 percent counted from the late stages of Hehuashan and Huxi (ca. 9000-8500 cal yr BP).